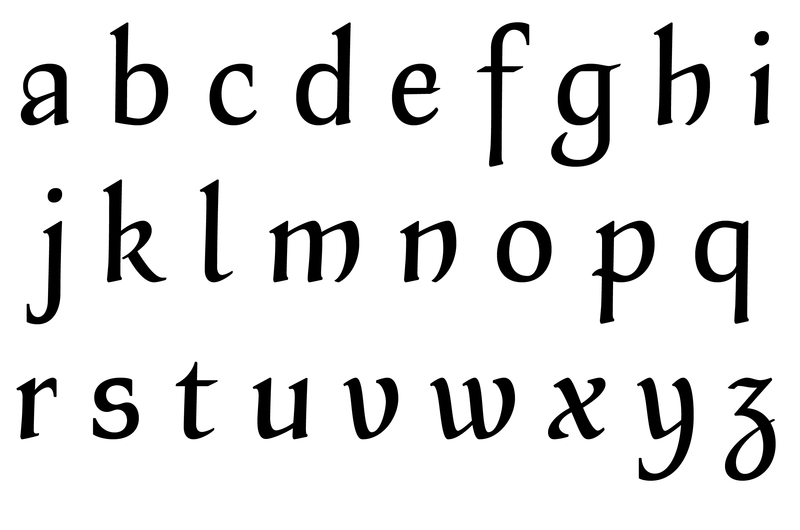 Unicameral typeface developed on October 2014 during a workshop at the Atelier National de Recherche Typographique (ANRT). The workshop’s proposal was the creation of a lowercase alphabet that was a hybrid between Gothic scripts (particularly the Rotunda) and Humanistic ones from the Renaissance. 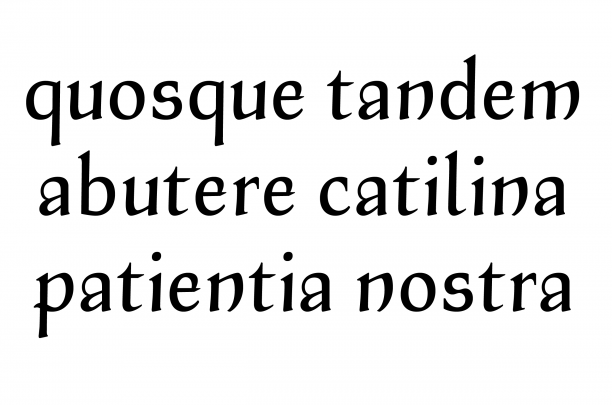 To this end, besides historical research about transitional typefaces between Gothic and Roman from the fifteenth century (known as Gotico-Antiqua), calligraphy was the starting point. 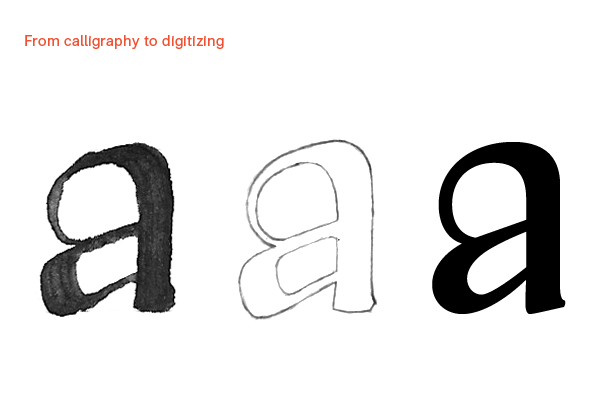 Afterwards, the drawings were reworked and stabilized on tracing paper and, later on, digitally.